Welcome to Dye's Piano Service, the experts since 2007 in piano tuning, repairs, regulation and voicing, climate control installation, evaluations and appraisals to homes, concert halls, churches, schools, and others in Frederick, MD, Washington, D.C., Baltimore, MD, Northern Virginia, Eastern Panhandle of West Virginia and other surrounding areas. 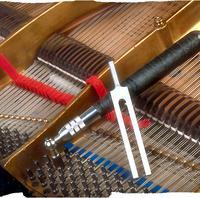 Dye's Piano Service is dedicated to quality professional service of your piano. Your piano is an investment in the enjoyment and study of music in your home, church, school, or concert hall. To fully enjoy your investment for years to come Dye's Piano Service will gladly keep your piano sounding its best. We have been servicing pianos in the Washington DC metro area and Mid-Maryland since 2007. We give prompt, professional service at competitive prices with outstanding quality. Payment Options: We accept personal checks, Visa, Master Card, and Discovery as well as cash. You can also send payment through Pay Pal. Enter my e-mail address (ddye@dyespianotuning.com) and the total amount of the services and/or merchandise. Payment is due at the time of service. *If you live more than 45 miles away from Frederick, MD I will be happy to service your piano. However, there is an additional $25 charge for the extra travel time and gas. Copyright © 2014 Dye's Piano Service. All Rights Reserved.